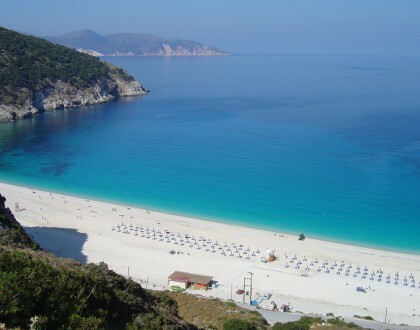 The island beaches of Lefkada are a definite highlight, featuring sheer cliffs that dip into fantastic turquoise waters. Its eastern coast is known for its traditional villages including Nydri. The island is connected to the mainland by a long causeway and floating bridge.